Ever since I sold the Garret Ace 250 metal detector, I’ve been feeling guilty about it. The 250 was the machine that my son could swing without too much trouble. After I sold it, I had no detector that he could use. So the other evening, he asked me if we could go metal detecting and I had him try both the CZ-3D and the AT Pro and both were too cumbersome for him. I felt terrible! 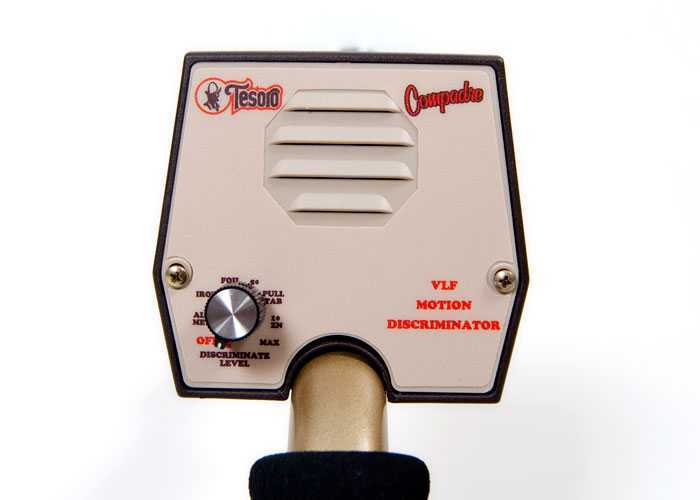 So I picked up the phone and called Chuck at Indian Nations Metal Detectors and ordered a Tesoro Compadre. The Compadre is so popular, they are in back order. I think we should receive ours in about two weeks. The Compadre is perfect for my son. It has only one knob to contend with and it weighs only 2.2 lbs! But don’t let the simple interface and weight fool you. This little detector operates at 12 KHz which will work on small gold and with its 5 3/4 inch coil, it can punch through to six inches deep. I’ve seen videos on YouTube that show how well the Compadre discriminates iron. Also, its small coil is perfect for our trashy parks. When my son is not using it, I plan to swing the Compadre to hunt for gold. I can’t wait! In other, sadder news, my Garrett Propointer has died. Well, actually, it has gone insane. When I turn it on, it will go off and not stop. I’ve tried everything to no avail. I think I’ve dropped it one too many times. I am using the Pistol Probe by DetectorPro but it’s not the same. Although the Pistol Probe reaches deep, I am having a hard time adjusting to it. I will continue to use until I have the money to buy a new Propointer. I think you made a good choice Miner. I have often thought about grabbing one of the little compadres as well. I’m excited to hear your thoughts on it. Go find some gold brother!